The bus operator’s head of engineering, Colin Barnes, was honoured at the UK Bus Awards – known as the ‘Oscars’ of the industry. Taking bronze in the highly coveted ‘Engineer of the Year’ category, Colin has spearheaded positive change at Go North East in the areas of recruitment and training. These have included the introduction of its award-winning mechanical and engineering apprenticeship, in partnership with Gateshead College, plus several lean engineering measures which ensure the team of 250 people and fleet of 650 vehicles, operate to the best of their ability, while ensuring continued reliability, comfort and security. At the North East England Tourism Awards, Go North East scooped silver in the Inclusive Tourism category, thanks to its commitment to ensuring all passengers feel safe and comfortable on the bus. 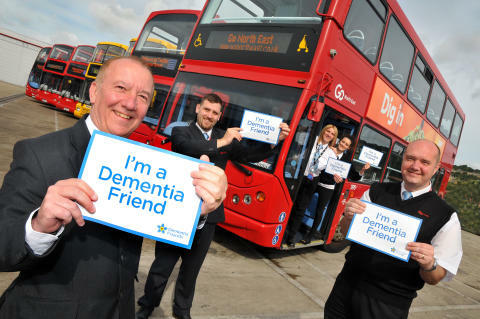 Ongoing measures include vigorous and ongoing awareness training by drivers, including working closely with partners including the RNIB and the Alzheimer’s Society to help vulnerable customers have a safe and comfortable experience on the bus. Plus, the operator’s focus on technology – making accessing the region’s many tourist attractions and events even easier, particularly for out of the area and non-English speaking visitors.